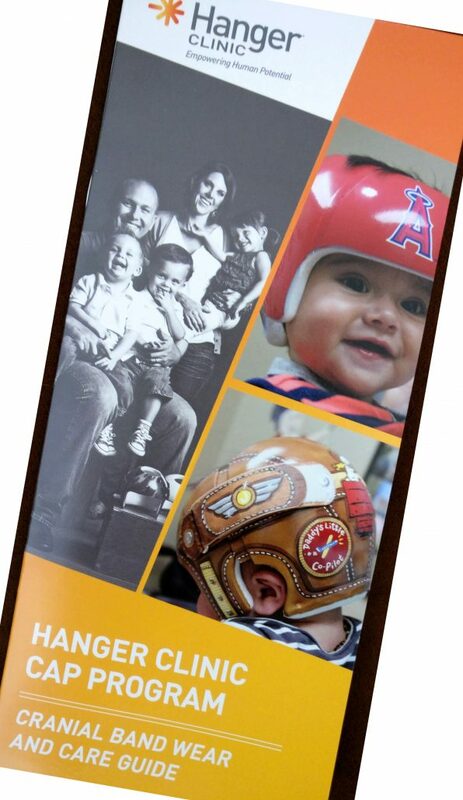 Cranial Orthotics, or baby helmets, are more common than you think! It is known that babies should be placed face up, on their backs when they’re sleeping for their safety. However, this can cause their head to be flattened. All babies are different and some may develop flatter than others. This flattening is called plagiocephaly, also known as, ‘flat head syndrome’. At baby CJ’s 4 month checkup, the pediatrician pointed out the flatness on one side of his head. We had already noticed and tried positioning him on his other side while he slept. She told us that what we were doing was the right thing to do. She also told us that baby swings are a cause factor for the flatness because the swinging motion pushes on their head. Needless to say, we kept ourselves from turning on the swing while he was in it. His pediatrician also referred us to a pediatric neurosurgeon for a more in-depth diagnosis. The following month we visited the pediatric neurosurgeon to have baby CJ assessed. This assessment consisted of measuring his head from all angles. We were told we really only had 2 options to correct the flatness. We could continue to position baby CJ on his other side so he would no longer lay on the already flat side. Our second option was the cranial helmet. They informed us that they were both equally effective. Because at the time, our insurance wouldn’t cover it, we decided to go with the positioning alternative. We were instructed to roll up a swaddle blanket and place it on his back to keep him from rolling onto the flat side. One month after our first appointment we returned for a follow-up. Baby CJ’s head had improved! All our hard work was paying off. We had to play ninja with the positioning because as soon as he would start falling asleep he would lay on his preferred side. The doctor told us to keep doing the positioning and be back for a follow up in 2 months. At our second follow-up appointment, we had hit a wall. He didn’t improve, but he also didn’t get worse. Baby CJ learned to get around the rolled up swaddle blanket and was no longer staying on his sleeping position. We would reposition him every chance we got, but at night time, it was out of our hands. Positioning was no longer a viable option. 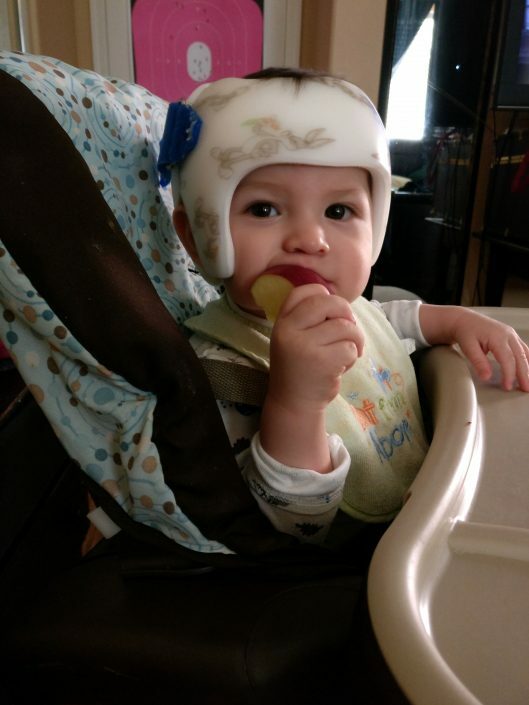 After talking with the pediatric neurosurgeon, we decided to try and see if our insurance would cover the baby helmet. The doctor gave us a prescription and we headed off to the Hanger Clinic. The Hanger Clinic specializes in prosthetics and orthotics. We called and set up an appointment to have baby CJ seen by their orthotist. His head was measured again and was determined that he definitely would benefit from the cranial orthotic as his case was almost severe. The orthotist then told us how the process with our insurance would go (this may differ depending on your insurance). He would write a detailed assessment of baby CJ’s condition and previous treatments that we had tried. He would also get the pediatric surgeon’s assessment to attest to the previous treatments and how those turned out. 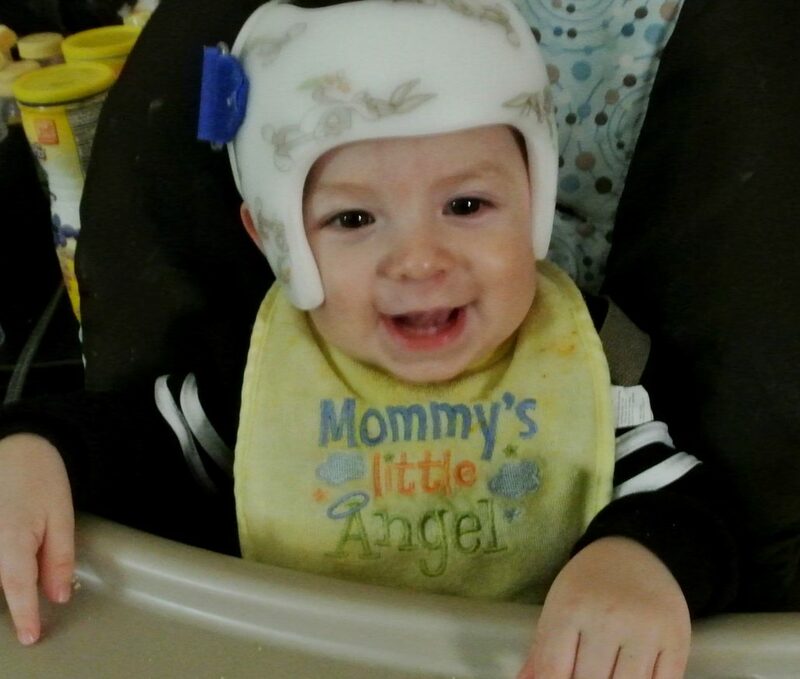 A couple weeks later the cranial orthotic was approved. 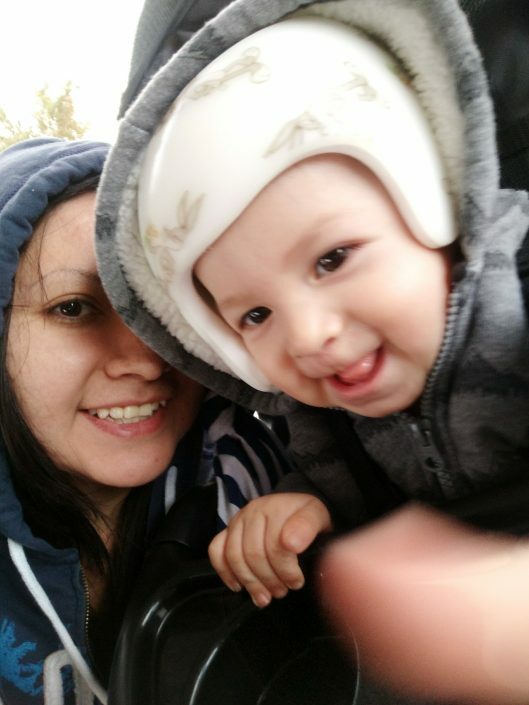 I believe having had tried the positioning and having had no change for the last 2 months, was the factor that resulted in the insurance approving the baby helmet. At this time, we had to go in and do the measurements needed for the helmet to go into production. A sock-like headband was placed on baby CJ’s head and then it was scanned while I held him on my lap. This process is relatively easy and quick depending on how much of a fight the baby puts up! This is also when we picked a design for the helmet (which was included). It took about two weeks to get the baby helmet back. Once they received the cranial orthotic, we went in to get it fit and make necessary adjustments. They also showed us how to properly put on the helmet on baby CJ’s head and how to clean. We were given a pamphlet with a schedule of the hours the baby helmet must be worn and how to work up to it; because the cranial orthotic must be worn 23 hours a day! The first couple weeks were hard to keep with the 23-hour schedule. We worked up the first week as instructed to the 23 hours. Unfortunately, the following week baby CJ had a cold and was not a happy camper. We found it hard to keep it on for the entire 23 hours because he was fussy without it and having it on was not making him feel better. At his 2-week follow-up, we did no measurements because we knew there wouldn’t be change without consistency. However, at his follow up about 2 weeks later, there was change! I read a few posts online from people who have been through this process and even people at the stores always tell me that it was the best thing they did. Husband and I both talked about it while going through the initial process, and we agree that it is for the best. Besides, baby CJ is perfectly fine with it. He doesn’t mind wearing the cranial helmet at all. Given, his first couple weeks with it weren’t so great because he was under the weather, but he is happy now and almost knows he’s supposed to wear it. Plus, he looks adorable! Our next follow-up appointment is coming up soon, so stay posted for updates!